Introducing Global Home Décor Brand West Elm to Over 40 Markets Across the U.S.
Bond’s relationship with west elm began in 2014 managing PR for the launch of its New Orleans store, the brand’s first store in Louisiana. 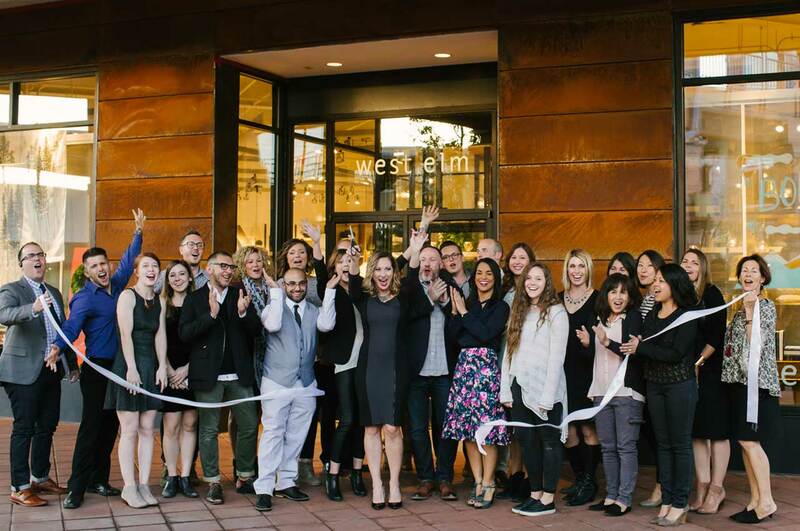 Since then, we have helped west elm open new stores in over 40 markets across the country, including Atlanta, GA; Baltimore, MD; Boulder, CO; Palm Beach, FL; Los Angeles, CA; Plano, TX; Reno, NV; Rochester, NY; Providence, RI; Portland, ME; Richmond, VA; and five stores in Southern California including Downtown Los Angeles, Pasadena, Santa Monica, Palm Springs, and Solana Beach. Bond is tasked with securing media attendance to grand openings, coordinating media one-on-ones, securing media coverage about the new stores in traditional print, broadcast and online outlets, and engaging with social media influencers and bloggers. In New Orleans, Atlanta, Los Angeles and other markets, we were responsible for planning in-store, pre-opening parties, which involved partnering with a local nonprofit and developing/managing guest lists. In New Orleans specifically, we also planned and coordinated a separate media dinner. As we grow with west elm, we continue to refine our approach for the brand. As we launched into 2016, we anticipated challenges from opening a retail chain in historically renovated neighborhoods. To combat the backlash of a national retailer entering the market, we put the west elm LOCAL initiative in the forefront of our messaging. A collection of handcrafted, hand-picked products, west elm LOCAL seeks to share the work of local makers with customers across the country. We took our approach a step further by partnering with a locally based nonprofit in each of the markets to co-host the private pre-opening celebration. A portion of the evening’s proceeds benefited the respective nonprofit partner. Additional store opening activities included a sweepstakes exclusive to residents of the new store’s city, offering local customers a chance to win a $2,000 gift card and an invitation to the celebration. Lastly, west elm partnered with a locally-based artist to design a limited-edition tote bag that was presented to the first 300 shoppers with a $50 minimum purchase on opening day. In 2017, we connected with west elm customers at a record level, achieving 118.5 million media impressions for all North American NSOs, a 69% increase in impressions per NSO from 2016. An average of 8 media appointments per NSO generated 118 print, online and broadcast placements in local markets with an average 1M impressions per placement, a 100% increase over 2016. Setting a goal to enhance long-lead print opportunities in 2017, we saw an increase of over 50% YOY per NSO with a record 5 long-lead print features secured in Phoenix. The number of attendees at each pre-opening celebration increased by 27%, with West Elm collecting a total of nearly 4,000 RSVPs.